Spurred by the immensely rewarding Be Fit. Be Cool. Childhood Obesity Awareness Campaign by TIPSSW/AAPI and following Surgeon General Dr. Vivek Murthy”s call to action to promote walking and walkable communities, we are urging people to focus on their 5-0-10k plan (not just their 401 (K) plans) to eat 5 servings of fruits and vegetables, avoid sugary drinks and walk at least 10 thousand steps a day. 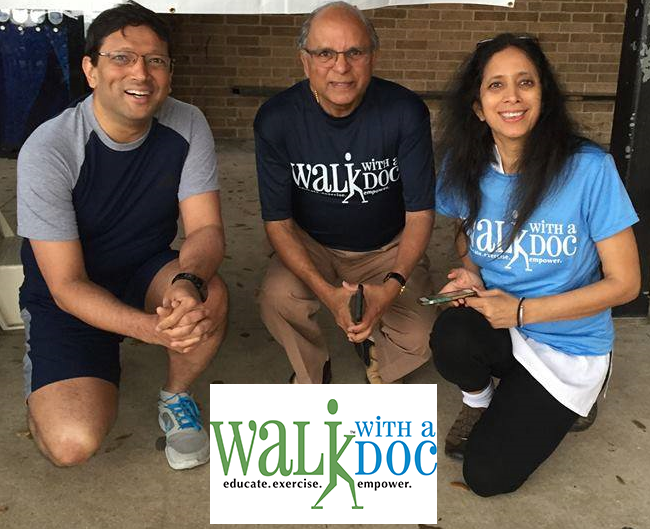 TIPSSW physicians have invited the Indian community to walk with them at the monthly Walk with a Doc at Track field of Tom C. Clark High School.